The Girls by Edna Ferber ~ 1921. 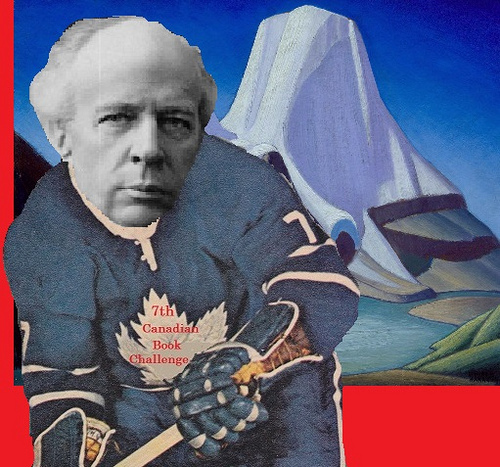 This edition: Collier, circa 1930s. Hardcover. 374 pages. It is a question of method. Whether to rush you up to the girls pellmell, leaving you to become acquainted as best you can; or, with elaborate slyness, to slip you so casually into their family life that they will not even glance up when you enter the room or leave it; or to present the three of them in solemn order according to age, epoch, and story. This last would mean beginning with great-aunt Charlotte Thrift, spinster, aged seventy-four; thence to her niece and namesake Lottie Payson, spinster, aged thirty-two; finishing with Lottie’s niece and namesake Charley Kemp, spinster, aged eighteen and a half— you may be certain nobody ever dreamed of calling her Charlotte. If you are led by all this to exclaim, aghast, “A story about old maids!”— you are right. It is. 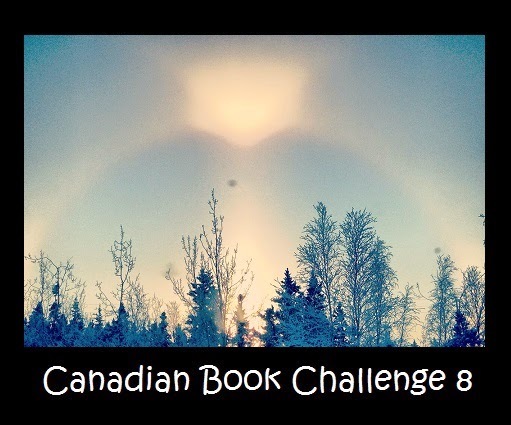 A story about old maids, indeed, and how rich a field for harvesting by the right author. 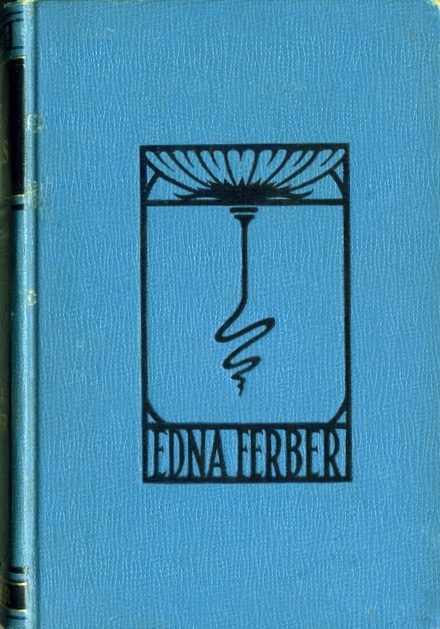 Edna Ferber is definitely that, garnering a full measure, a basketful – a book full! – of personal stories, mixed joys and tragedies, promises fulfilled and wasted. We meet our three Charlottes in the early days of the 20th Century, in Chicago. Their family, the Thrifts, is in the upper echelon of that city’s society, even though their finances have of late begun to show signs of stress, what with the war in Europe and all. In a series of extended vignettes – flashbacks interspersed with the present – we learn the stories of these three women, destined to walk their paths without male partners, though all three are not unloved by men. The theme which unites these three femmes sole – aside from their warm and sustaining love for each other – is that of war. For Charlotte, the war between the states, taking place as she leaves her girlhood behind, erasing the life of the man whom she loved. For Lottie and Charley, the Great War strikes similarly brutal blows. Edna Ferber was a gifted storyteller, and The Girls is a perfect example of her ability to stir the full spectrum of her readers’ emotions, from amusement to heartbreak, and everything in between. Some clever technique here, too, in the flashback sequences. Now out of copyright, many of the secondhand copies on ABE are print-on-demand, though a few originals are there as well. If you don’t mind reading from a screen, The University of Michigan has a scanned copy to peruse. All three of the following deserve in-depth reviews, and perhaps one day I will re-read them all and do just that, but for now the following must suffice. These “women’s works” are all exceedingly different from each other, and reward the reader in a variety of ways. Their one meeting point is that they are all, to various degrees, concerned with what it means to be a mother. 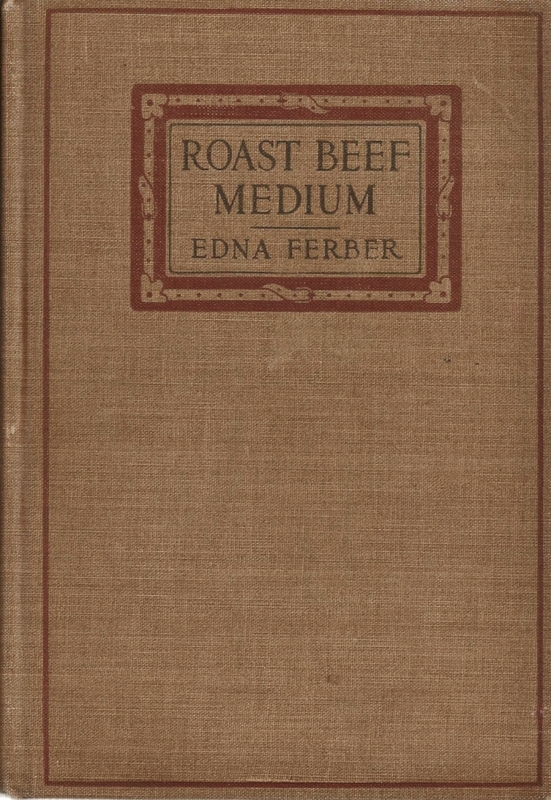 Roast Beef, Medium by Edna Ferber ~ 1913. This edition: Grosset & Dunlap, 1913. Illustrations by James Montgomery Flagg. Hardcover. 296 pages. A slightly unexpected book, for I have always associated Edna Ferber with sincerely-meant dramatic novels, all about earthily passionate immigrants and melodramatic family sagas. In Roast Beef, Medium, we have a rather quieter sort of tale, of a single mother way back at the beginning of the 2oth century working away to support herself and her teen son, in an unexpectedly “modern” style. Our heroine, Emma McChesney, is a traveller in petticoats, in both senses of the term. She has a past history of a ne’er-do-well ex-husband, and is the deeply proud mother of a seventeen-year-old son whom she supports in a respectable boarding school. Her area of expertise is ladies’ undergarments, for Emma McChesney is one of the more successful travelling salesmen (in her case I suppose that would be saleswomen, though she rather stands alone in this male-dominated calling) for T. A. Buck’s Featherloom Petticoats. It’s a tough sort of business to be in, for along with stiff competition in the ladies’ lingerie department – there is a positive crowd waiting to press their particular wares on every department store in the mid-west American sales territory where our Emma operates – there is a continual male-female dance of propriety, for Emma is a very handsome woman, and her good looks belie her ten years on the road and her status as the mother of a son approaching adulthood. Emma can handle those who assume she is an easy mark for some casual romance, but deep down inside are the pangs of loneliness. What does the future hold…? An explanation of the title is in order, and here are the words of the author herself. Roast Beef, Medium, is not only a food. It is a philosophy. Seated at Life’s Dining Table, with the Menu of Morals before you, your eye wanders a bit over the entrees, the hors d’oeuvres, and the things a la, though you know that Roast Beef, Medium, is safe, and sane, and sure. It agrees with you. As you hesitate there sounds in your ear a soft and insinuating Voice. Roast Beef, Medium! How unimaginative it sounds. How prosaic, and dry! You cast the thought of it aside with the contempt that it deserves, and you assume a fine air of the epicure as you order. There are set before you things encased in pastry; things in frilly paper trousers; things that prick the tongue; sauces that pique the palate. There are strange vegetable garnishings, cunningly cut. This is not only Food. These are Viands. “Everything satisfactory?” inquires the insinuating Voice. You reach deep, deep into your pocket, and you pay. And you rise and go, full but not fed. And later as you take your fifth Moral Pepsin Tablet you say Fool! and Fool! and Fool! When next we dine we are not tempted by the Voice. We are wary of weird sauces. We shun the cunning aspics. We look about at our neighbor’s table. He is eating of things French, and Russian and Hungarian. Of food garnished, and garish and greasy. And with a little sigh of Content and resignation we settle down to our Roast Beef, Medium. This is a light sort of novel, but it has its merits, and it works quite well as both a period piece and a nicely worked bit of domestic vintage American fiction. Slip on over to Gutenberg, and read this for yourself. Roast Beef, Medium was Edna Ferber’s third published novel, and she went on to write many more of increasing popularity – think Show Boat, American Beauty, So-Big, Ice Palace, and Giant, among others – to take her place as one of the most successful mainstream novelists of her time. Her writing career stretched from 1911 to 1963, and her novels provide a lively – if decidedly dramatized – portrait of American life. The Pumpkin Eater by Penelope Mortimer ~ 1962. This edition: Penguin, 1969. Paperback. 158 pages. This book has been described as proto-feminist, on par with Germaine Greer’s writings, and though I wouldn’t go that far myself, I will agree that it is very much a book of its time and demonstrative of the uneasy gender-battling mood of the late 1950s and early 60s. Penelope Mortimer’s The Pumpkin Eater is a grimly can’t-look-away, can’t-quite-believe-I’m-reading-this, what-is-the-author-really-trying-to-say, blackly funny self-portrait of a seriously troubled woman and her bizarre approach to both motherhood and marriage. Apparently drawn from Mortimer’s own experience, it nevertheless reads like the strangest of fictions, and though the tale fascinated me it left me utterly untouched in any sort of personal way, save for my feeling of admiration at Mortimer’s success at keeping me engaged even when I wanted to put the book down and walk away. 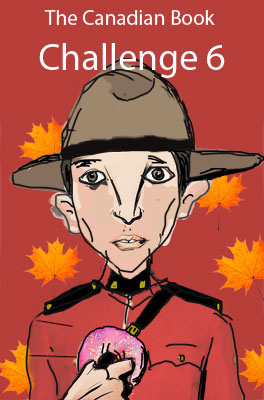 The Pumpkin Eater is a surreal black comedy about the wages of adulthood and the pitfalls of parenthood. A nameless woman speaks, at first from the precarious perch of a therapist’s couch, and her smart, wry, confiding, immensely sympathetic voice immediately captures and holds our attention. She is the mother of a vast, swelling brood of children, also nameless, and the wife of a successful screenwriter, Jake Armitage. The Armitages live in the city, but they are building a great glass tower in the country in which to settle down and live happily ever after. But could that dream be nothing more than a sentimental delusion? At the edges of vision the spectral children come and go, while our heroine, alert to the countless gradations of depression and the innumerable forms of betrayal, tries to make sense of it all: doctors, husbands, movie stars, bodies, grocery lists, nursery rhymes, messes, aging parents, memories, dreams, and breakdowns. How to pull it all together? Perhaps you start by falling apart. This doesn’t really portray the surreal atmosphere of this tense tale, but it does give a general idea of the storyline, which doesn’t really matter, as it is all seen through a fog by the narrator, the “mother-of-many”, who never gets her own name. The writing is marvelous; the humour is richly dark; the subject is immensely uneasy-making. And the ending is beyond nebulous. What is reality, anyway? And why not seek comfort in dreams? 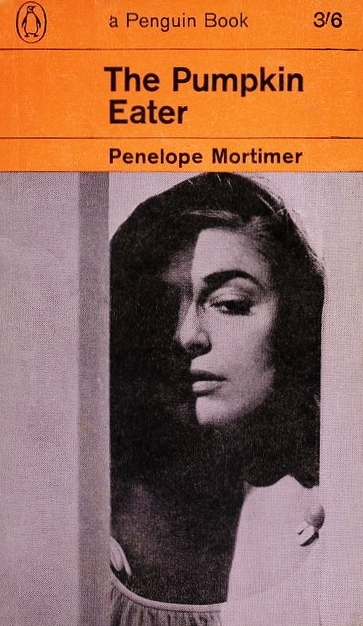 The Pumpkin Eater was also made into a 1964 movie, with screenplay by Harold Pinter, starring Anne Bancroft, hence the cover image on my old Penguin paperback. Haven’t seen it (the movie) myself, and quite frankly I have no desire to, though I have heard it spoken highly of. The book was quite enough, thank you kindly. Within This Wilderness by Feenie Ziner ~ 1978. This edition: Akadine Press, 1999. Softcover. 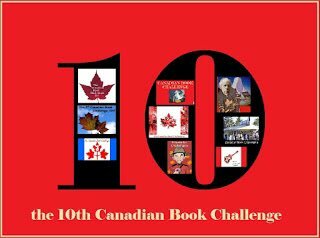 ISBN: 1-888173-86-6. 225 pages. 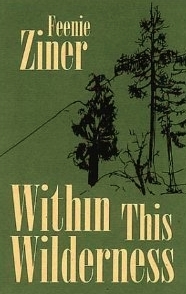 Within This Wilderness is an autobiographical account of Ziner’s final attempt to come to terms with her adult son’s rejection of society and his retreat to the remote coastal woods of British Columbia’s Vancouver Island. I found this book deeply moving, in a decidedly personal way. Though the circumstances of our lives are not in any way identical, the evolution of the mother-son relationship and the delicate negotiation of expressing maternal love and the desire for “safety” for one’s child warring with the needs of a young man for walking his own path and making his own mistakes is something I share with this other mother, and, I suspect, most other parents whose moved-beyond-us children have stepped somewhat aside from the well-marked path of our particular society’s norm. Feenie Ziner’s son Ben was one of those Vietnam war casualties who was never in uniform: spooked by the military buildup, repelled by the consumer culture, he dropped out of school and took off for the Northwest, talking of cosmic energy and inner space, drifting in and out of lack-limbed communes, ultimately settling on his own wilderness island. Anxious for his return or at least some answers, Ziner flew in after he’d been living alone for nearly two years, and her skillfully developed account of what transpired between them – a progressive disarmament – slips over the boundaries of personal experience. She masters the primitive flusher and inures herself to thoughts of wolves (“I’ve read Farley Mowat”); he points out handmade appliances and shares new wisdoms (“Plastic is to us what horses were to the Spanish”). They lie to each other, spar philosophically, and resume a fragile peace. Even the eccentric neighbors – classic misfits – find him difficult. “Why does he make himself so damned. . . inaccessible?” “Why does he live that way? As if he were expiating for some kind of a sin?” She draws on the tranquillity of the place, reads the I Ching with the beatific vegetarian round the bend (“The companion bites a way through the wrappings”), and waits. And eventually the staunch independence unmasks, the precarious self-esteem surfaces, a pained confession of inadequacy is spoken. One must suppress dark thoughts about the shaping of this material (could it have happened so smoothly? was she taking notes?) for the perfect curve of events seems almost too good to be true. But Ziner deftly renders the nature of their exchange and the nuances of her private adventure, and the illumination of his fringe benefits and her mainstream hollows will reach that audience attuned to generational discord and cultural reflections. Very much worth reading. Recommended.